Volunteers play a vital role within the police service, local community and the Office of Police and Crime Commissioner for North Yorkshire. Volunteering opportunities range from joining your local neighbourhood or rural watch scheme; manning the front counters at local police stations; serving on the Chief Constable and Commissioner’s Independent Audit Committee or taking on the hugely rewarding and responsible role of a Special Constable. 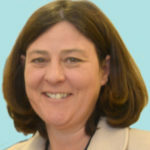 Your Police and Crime Commissioner, Julia Mulligan, is also fully committed to expanding the role of volunteers within policing and has been appointed (on a voluntary basis) to two national roles, which promote volunteering; the Special Constabulary National Consultative Group and the Police Support Volunteer Programme Board. Julia also supports The Police Treatment Centre, a charity based in Harrogate that provides help to injured police officers.